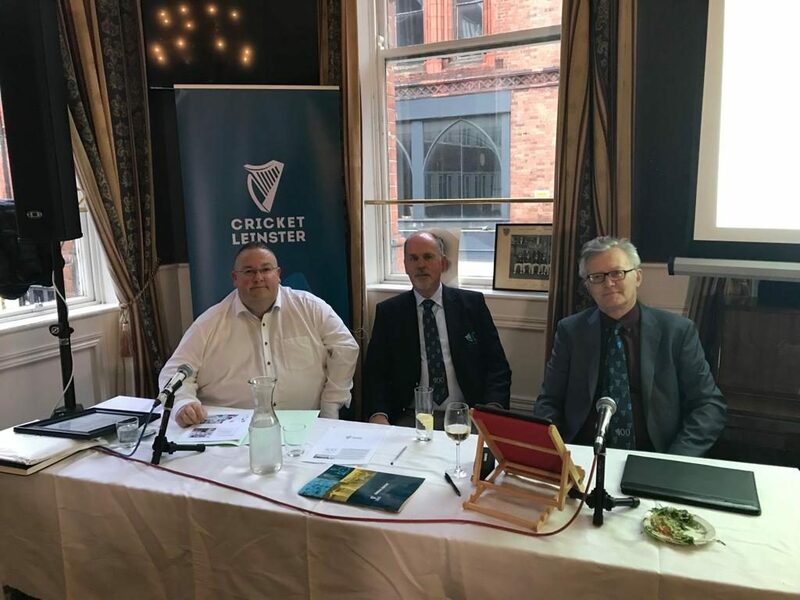 Cricket Leinster was delighted to host a special event last evening to mark 100 years to the day since the establishment of the Leinster Cricket Union. The celebratory event was attended by almost 80 people from across our member clubs and took place at the Central Hotel, Exchequer Street, Dublin in the actual room where the first clubs assembled on 14 April 2019. Peter Thew, Cricket Leinster President, led the celebrations including a formal toast to mark the historic occasion. The guests were then taken down memory lane as Ger Siggins, Eddie Lewis and Jim Bennett provided a historic overview of 100 years of cricket in Leinster (including Fingal). There were also contributions and anecdotes from Arthur Vincent, Johnny Walshe and Michael Sharp. The event was also attended by Aideen Rice, President of Cricket Ireland and David O’Connor, President Elect of Cricket Ireland. As part of the celebrations, Cricket Leinster was especially pleased to honour Tom Murphy, a legend of Fingal Cricket who is still hail and hearty at the brilliant age of 95 years. 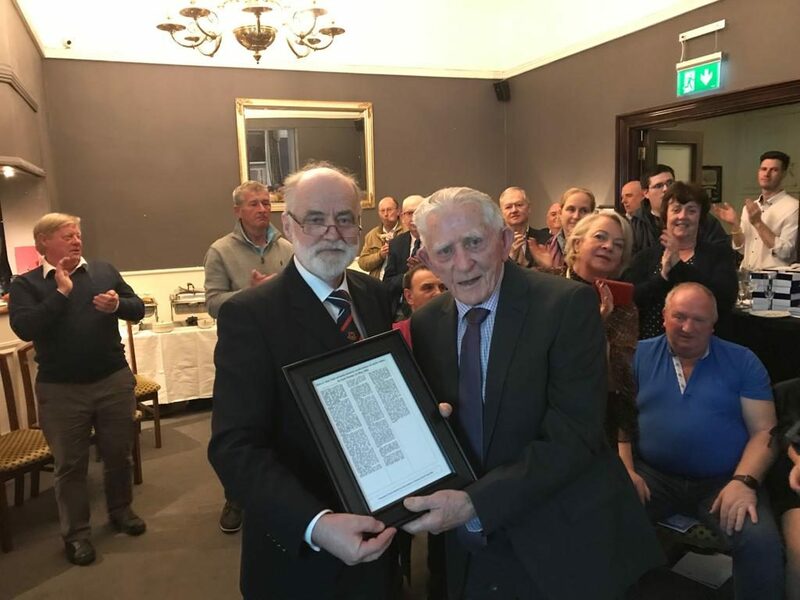 Tom was presented with a framed newspaper clipping profiling his positive impact on Fingal and Leinster cricket over many decades. 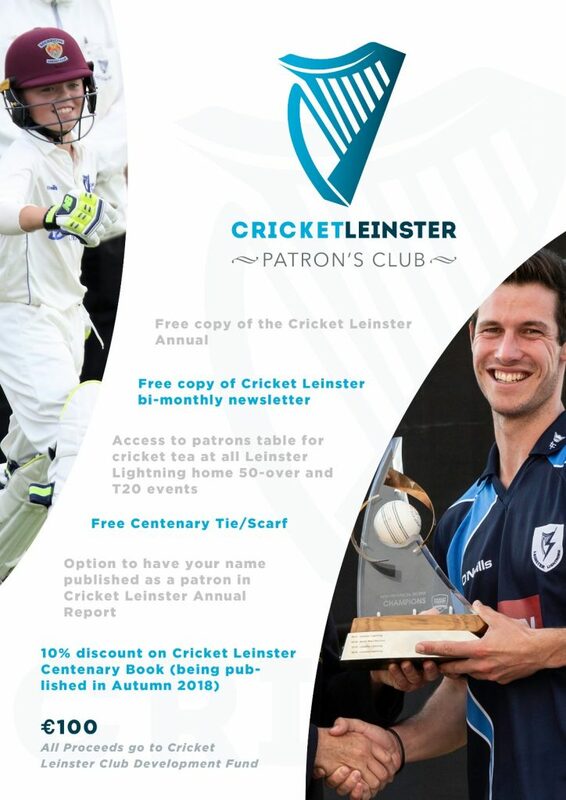 Cricket Leinster also launched its new Patron’s Club last night which provides interested parties, fans and supporters with an opportunity to formalise their relationship with Cricket Leinster and in doing so, to contribute to our Club Development Fund. The Club Development Fund is specifically focused on raising funds to help cricket clubs to enhance their facilities and overall enjoyment of our great game. Everyone who attended the event last night also received a commemorative medal specially produced by Michael Godwin of Phoenix CC to mark the special occasion. Cricket Leinster - 100 Not Out!